Identify lunar surface features such as craters, seas, rilles, valleys, and mountain ranges with the mini moon globe. You'll even be able to spot sites of manned and unmanned moon landings. 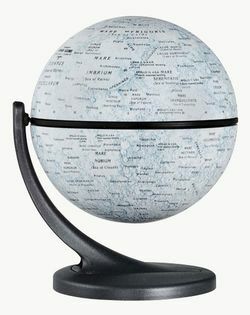 Exceptional map details, along with swivel, tilt, and spin motion make this an instructive and fascinating small globe for all ages.